The main job of the air filter in your car is to help keep the engine clean. The filter is there to block damaging substances like dirt, dust, leaves and other debris from getting into the engine. Air from outside the vehicle passes through the air filter and into the cylinders of the engine. The air then mixes with the fuel, in order to give your vehicle the power it needs to run. As you may have guessed, cabin air filters are designed to keep the air inside the cabin of your vehicle clean and breathable. They help guard your lungs and respiratory system against airborne infections and allergens that can be harmful to your health. More vehicles on the road, as well as longer travel times to and from work, contribute raised levels of noxious gases, bad smells, and dangerous substances you are exposed to on a daily basis. Consistently changing out old filters for new ones, keeps you breathing clean and healthy air inside your car. This can be very beneficial to people with allergies, asthma, or other respiratory issues. It is also beneficial for your air conditioning system. Less strain on the air conditioner means it will last longer and work more efficiently. The fuel filter is used to block dirt, dust, and other debris from getting into the engine. When you apply pressure to the accelerator in your car, it is the fuel system that regulates the level of power from the engine that is needed for operation. The fuel system controls the movement of air and fuel, ensuring the balance between the two is accurate. The correct combination of fuel and air will make the vehicle go at the desired speed based on how much pressure was put on the gas pedal. 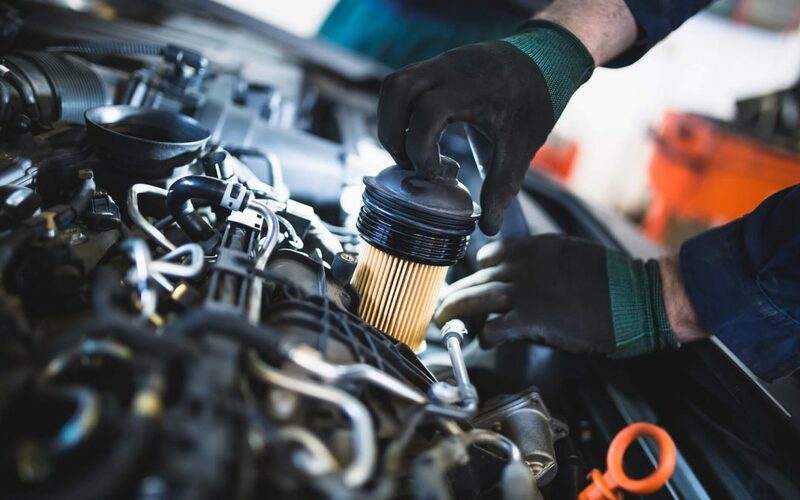 If the fuel filter gets too dirty or gets obstructed, it will compromise the engine’s performance. Replacing the fuel filer regularly keeps your car performing at optimal levels and maintaining good fuel economy. The PCV valve (also called the emissions valve) and filter work in tandem to return harmful fumes generated by the engine to the combustion chambers. These toxic fumes then get burned again to further reduce their toxicity. The PCV and filter should be changed regularly to prevent wear on the engine and reduce noxious emissions. Valvoline Express Care Brampton has been providing professional automotive services in the Brampton area for over 20 years. They can handle all your filter service needs, as well as any other vehicle maintenance required.